The sleep training process will have it’s highs and lows. The key is to learn from what isn’t working. Here are some common issues that I see parents run into during sleep training. Some parents will think that teaching their child to self-soothe only at night will make the process easier. The opposite is true. A child that young cannot differentiate the difference between day sleep and night sleep. If they are fed, rocked or bounced to sleep during the day, they cannot be expected to put themselves to sleep at night without those sleep associations. Another reason that a sleep training effort may fail is because there are some pieces of the puzzle that are missing. It is important to make sure that not only have you picked a method that works for your parenting style, but also that ALL of the pieces are in place. This includes making sure the sleep environment conducive to sleep, choosing the most appropriate sleep training method, taking into consideration day sleep and wake times, and removing all crutches/sleep associations. If one of these pieces are missing it can cause a setback in the process. 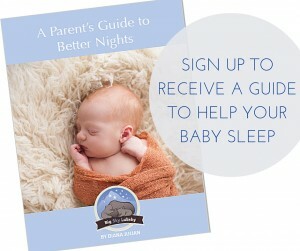 One of the keys to sleep training is to not let the child get overtired. To ensure this, it is important that the wake period in-between naps is not too long. If they are, it will lead to poor naps and then leave you with an overtired baby when you begin the sleep training at night. In addition to considering the wake times during the day, you also need to make sure that the timing between the last nap of the day and bedtime is also not too long, because this is the most sensitive wake time of the entire day. Many families are reluctant to use an early bedtime. This is understandable, especially when both parents work full time and they feel like they never get to see their child if they go to sleep early. It is important to remember that this is temporary and it is what is best for the child. The early bedtime is biologically advantageous to their child learning how to self-soothe and getting the restorative sleep that they need. If this is the situation in your family, set aside some special one-on-one time with them on the weekends, or if possible, wake up early with them in the morning and spend time with them then. The number one sleep crutch that is used to put a child to sleep is the breast or the bottle. This is why it is essential to separate the two. It is best to avoid feeding your child too close to nap time, instead feed them when they wake as opposed to before they go to sleep. I also always recommend avoiding feeding in the sleep environment. Sleep training done right can provide amazing results. Don’t get frustrated with the process, just remember to stick to the plan.